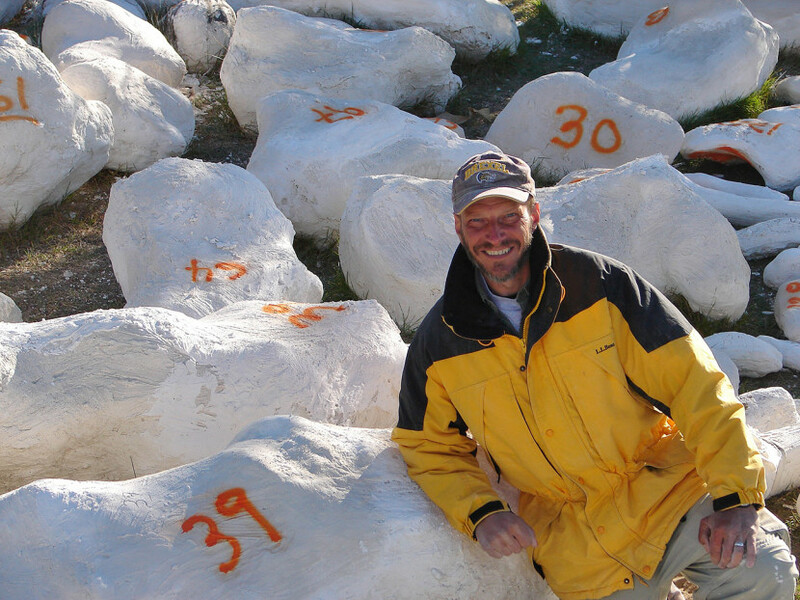 Lacovara is an associate professor of biology, with research specializations in Mesozoic paleoecosystems, preservation and analysis of ancient biomolecules and more. 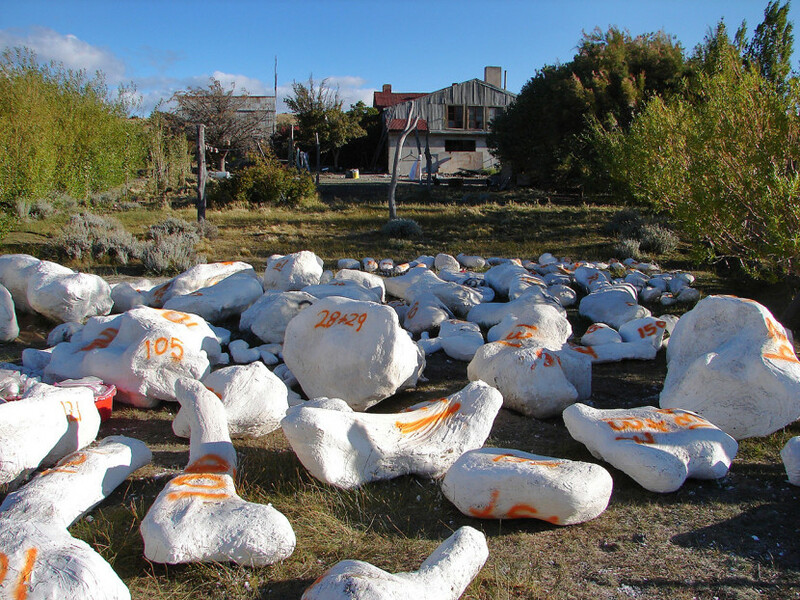 Finding a dinosaur in Patagonia is not difficult, if you know what to look for. 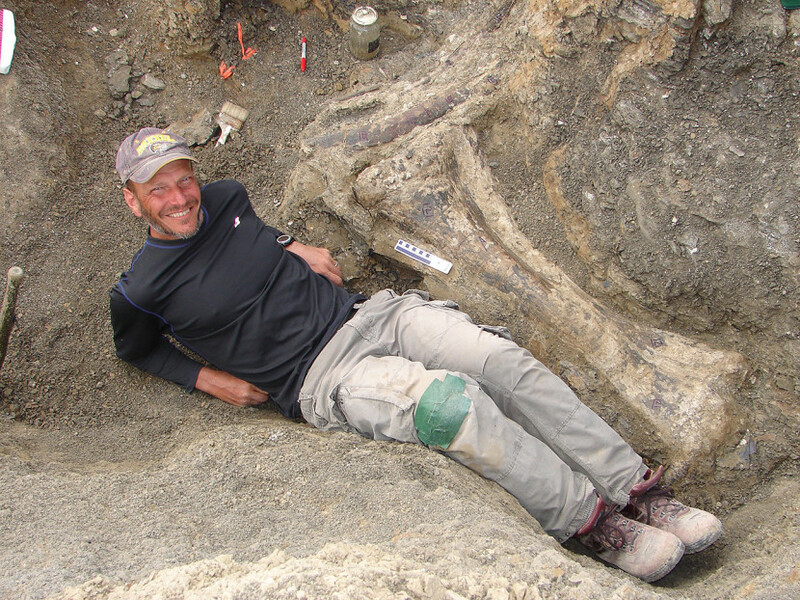 It was therefore not a surprise to Drexel professor and paleontologist Ken Lacovara when a member of his field expedition team discovered a dinosaur femur in Argentina in early 2005. The size of the giant creature it belonged to and the remarkable completeness of its skeleton, however, came as pleasant shock. In the Connecticut-sized area where Lacovara has the rights to prospect for Cretaceous fossils, virtually every rock on the ground is a fossil, and many of those fossils are dinosaurs. But it took a great deal more time — nearly a decade — from that moment of discovery until the world at large heard the full story and the dinosaur’s thunderous name: Dreadnoughtus schrani. 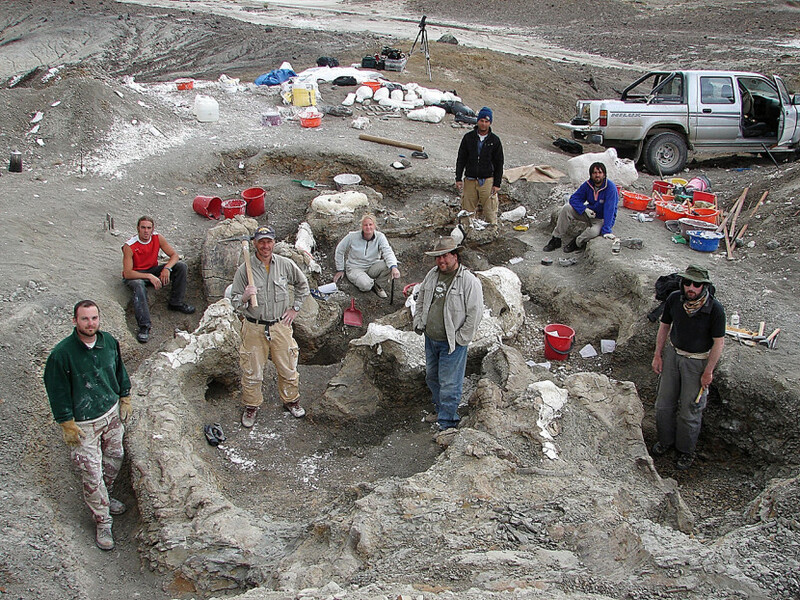 Lacovara estimates he spent about a year of his life over four field seasons sleeping in his tent in Patagonia while digging up Dreadnoughtus. At one point during the years of fossil prep in his lab, he tried to track the hours spent at work there. He gave up and just counts the total by order of magnitude: Thousands of man-hours went into preparing those bones over a period of five years, removing the thin outer layers of rock, stabilizing decompression cracks and reassembling bits that had crumbled with glue and putty. Thousands of hours were spent over two years scanning the bones with lasers to preserve digital models of the individual bones. Writing the manuscript of the scientific paper took about a year and a half. It wasn’t until Sept. 4, 2014 — during a press announcement at precisely 9 a.m. — that the name “Dreadnoughtus” was first spoken aloud and in public. That was the moment that Lacovara’s team published online a scientific paper naming and formally describing the extraordinary new species in the journal Scientific Reports. At 65 tons in life with a body the size of a house, this new dinosaur is the largest ever discovered for which a mass can be accurately calculated — and this individual was still growing when it died. With a skeleton far more complete and well preserved than any other of the largest-known dinosaurs, this specimen is poised to reveal new information about the physical workings of life at the upper limits of size for animals on land. 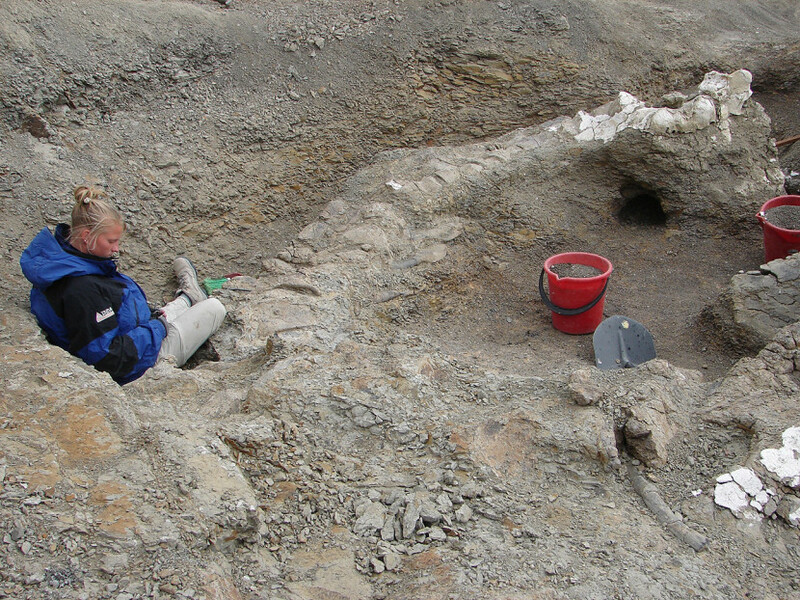 “Work goes into every discovery when you have a dinosaur that’s brand new; but in this particular instance, everything was so big, everything is multiplied,” recalls one of the students on Lacovara’s team, Elena Schroeter (PhD ’13), who began working on Dreadnoughtus during the team’s final field season in 2009. Ken Lacovara’s son, Rudyard, now 7 years old, is probably the person least impressed by Dreadnoughtus. 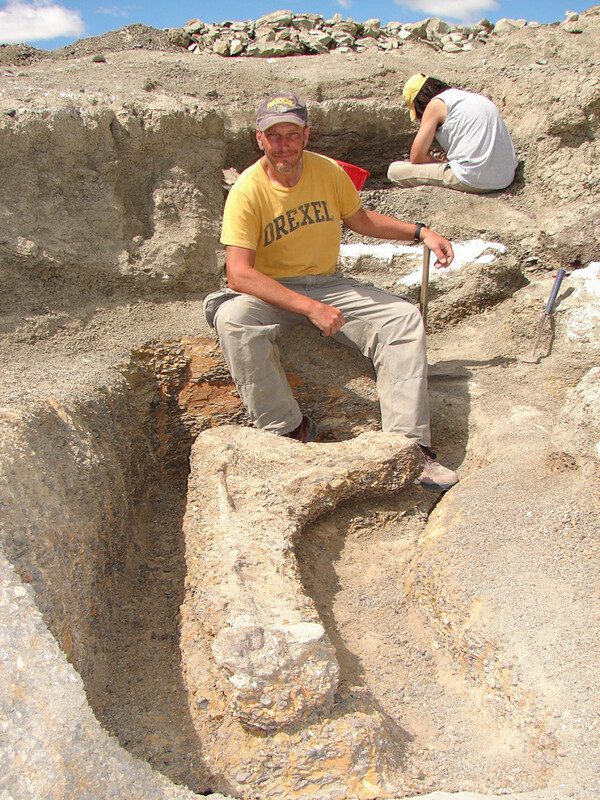 He was not quite 2 years old when a shipping container filled with Dreadnoughtus fossils arrived in Philadelphia, so as far as he’s concerned, dad has always had a dinosaur. The size of the beast wasn’t immediately apparent to the team when they struck unreasonably good luck on the first day of the field season. All they could see at first was one tiny piece of bone peeking through the sediment. 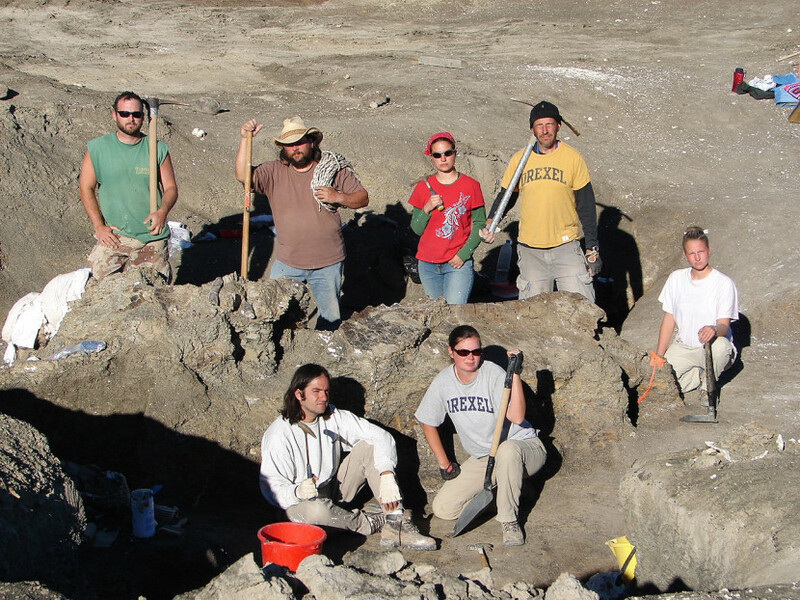 But by the second day, the whole field team was digging, and the more they dug, the more they saw. Nights were cold, and days were baking hot. Temperatures also swung without warning. At times in the quarry, the wind would come rolling over the hills and the team would stop and look at each other, knowing. 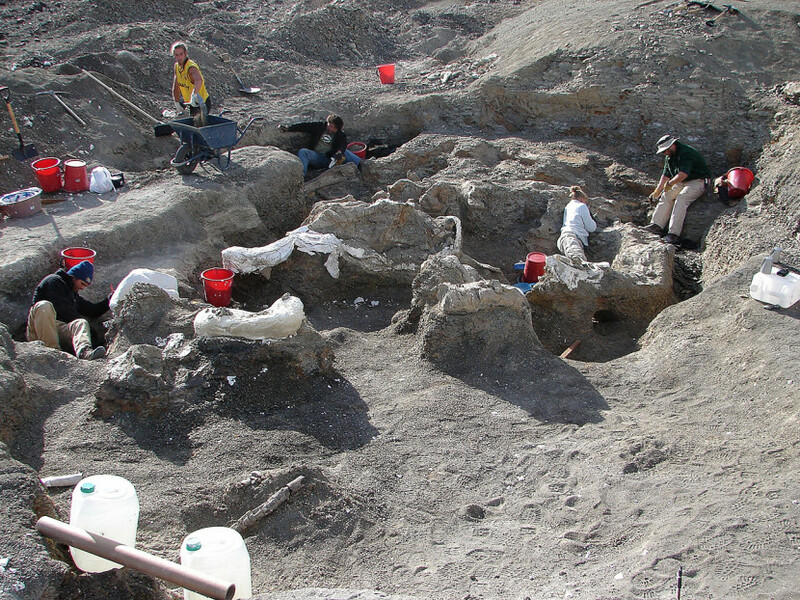 It took two more field seasons to extract all of the dinosaur’s remains. 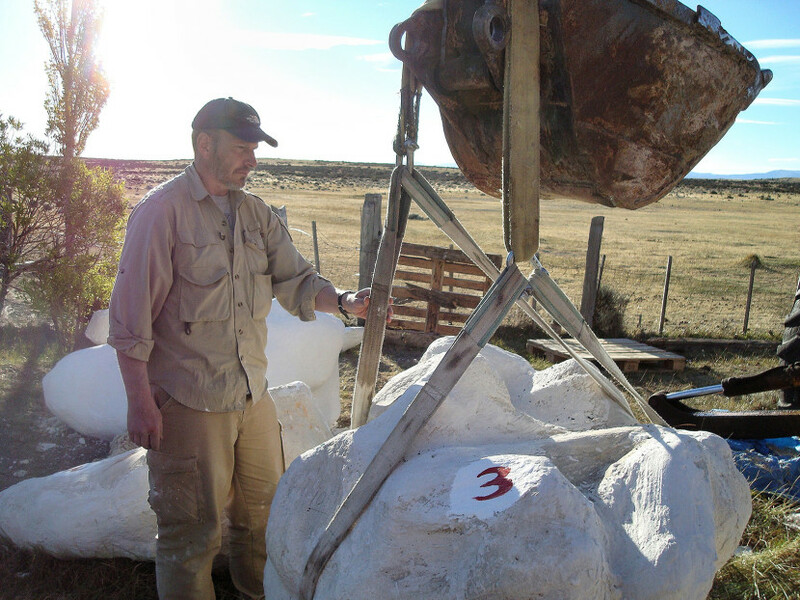 For the first several field seasons, while plaster jackets filled with Dreadnoughtus bones piled up, Lacovara remained unsure whether his discovery would ever leave Argentina for detailed study. 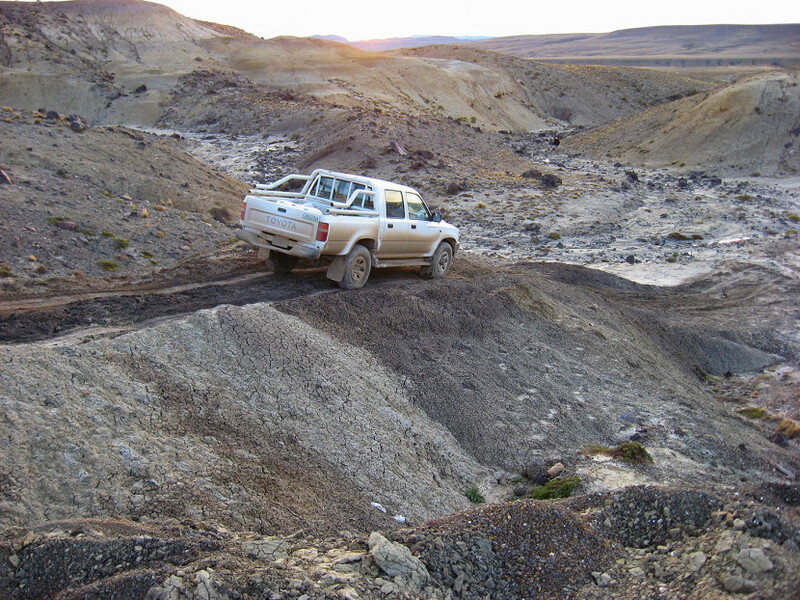 Fossils found in Argentinian soil belong to that country, and negotiating a research loan in a multilingual mix of science and legalese took countless suspenseful hours of negotiation and muddy translation. By 2009, the loan was finally secured. The dinosaur finally arrived in Philadelphia by shipping container in May 2009 with a cargo of 234 jackets protecting 16 tons of bones. A boisterous crowd celebrated the opening of the container at the port. Then a group of 20 experienced fossil preparators got to work unloading the heavy jackets from the truck. The dinosaur’s journey was only halfway done. 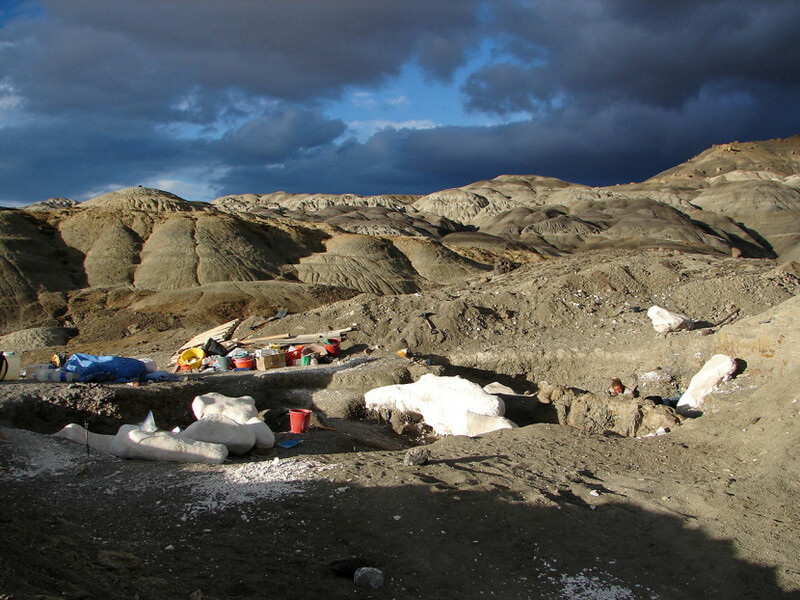 Years of prep work remained ahead, in Lacovara’s lab at Drexel as well as at the Academy of Natural Sciences of Drexel University and at the Carnegie Museum of Natural History in Pittsburgh. Preparation is the process of removing protective layers from the bones, including the plaster jackets added in the field and the thin layer of surrounding rock that was left on each bone in the field to stave off potential damage from decompression. Part of prep is also restoring the bones, filling in cracks and fitting together broken pieces, as well as stabilizing and filling in decompression cracks that form when the surrounding rock is removed. At 65 tons in life with a body the size of a house, this new dinosaur is the largest ever discovered for which a mass can be accurately calculated — and this individual was still growing when it died. The very last bone, the cervical vertebra, was one of the trickiest to prepare. 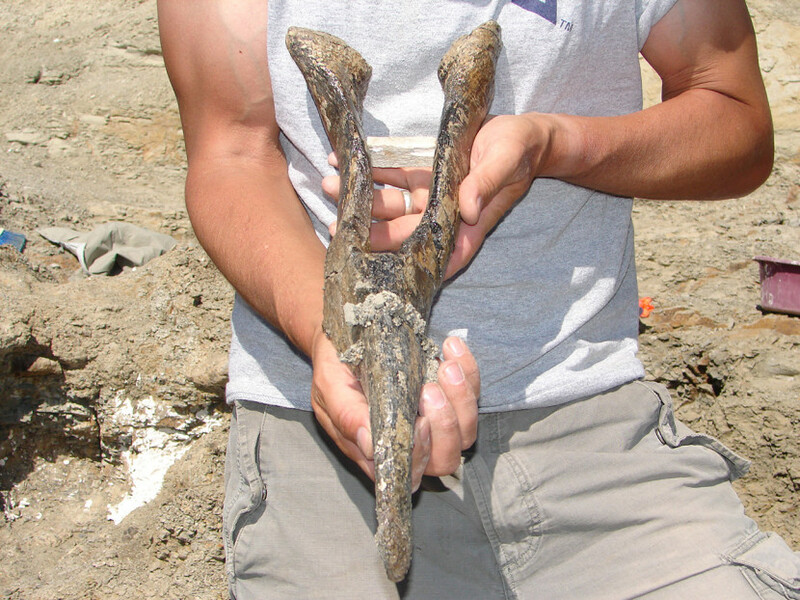 This fragile and extremely rare 3-foot-wide bone that Moyer had spent a field season excavating, was not only large, but craggy, filled with hollow, bowl-shaped fossa. 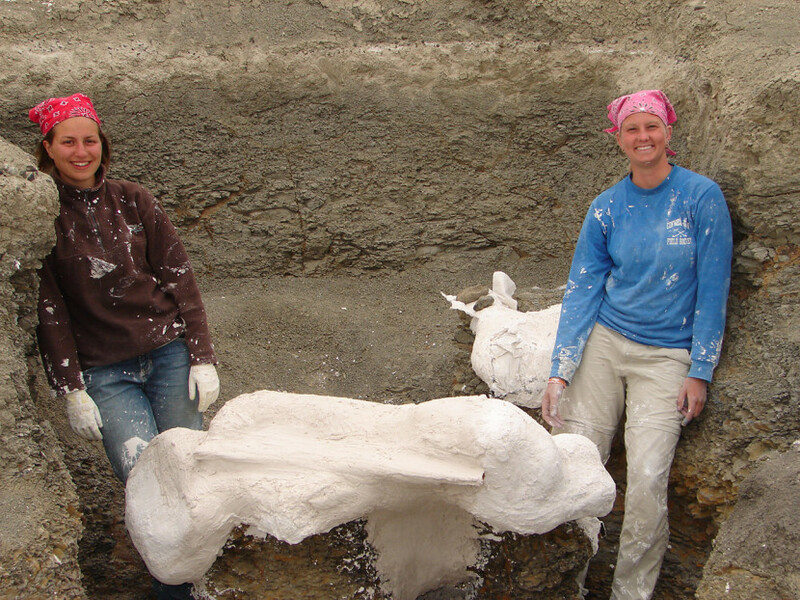 Only the most experienced fossil preparators in the lab, Schroeter and Aja Carter (BS ’14), were trusted to handle the special fossil. “This bone is a neck bone, but it’s the size of me if I curled up, or bigger,” Schroeter says. 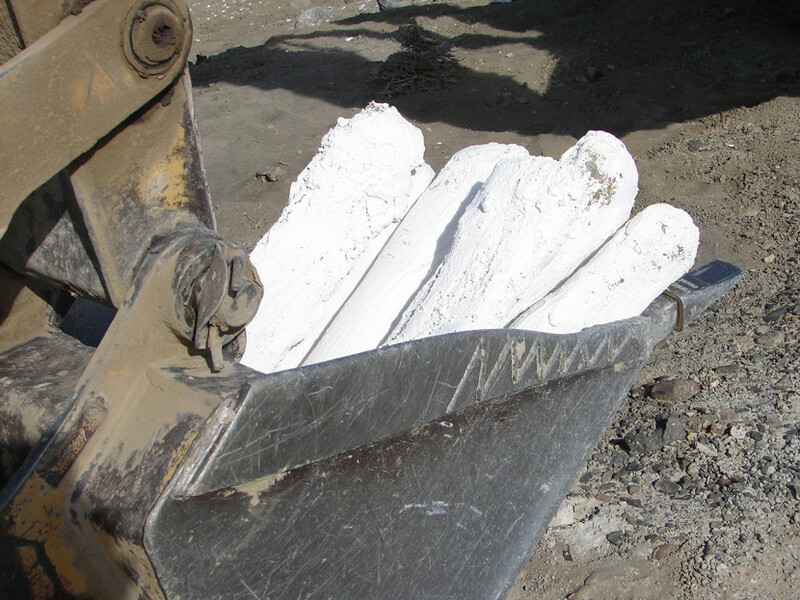 Using mini-jackhammers called airscribes is usually a reasonably easy way to clear excess sediment off of the surface of a bone — but not so with this cervical. “When you blow air away from you into a bowl, guess where it goes? 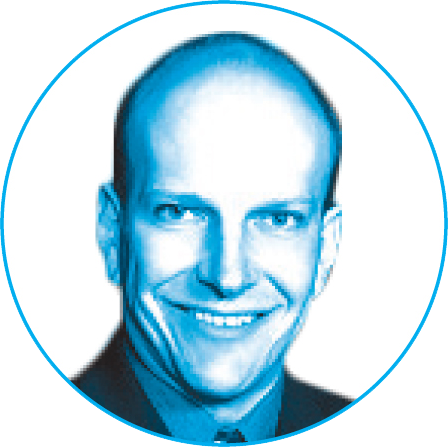 Back in your face,” Schroeter says. Throughout that winter, the pair showed up to work in bandanas, goggles and face masks. Eventually, they added two pairs of machinists’ coveralls borrowed from Schroeter’s dad. Once they flipped the vertebra to the other side, which had been recovered in plaster, the mess only got worse, and Carter discovered a plaster allergy — but that’s another story. Carter put in far more of her prep time over the years at the Academy. 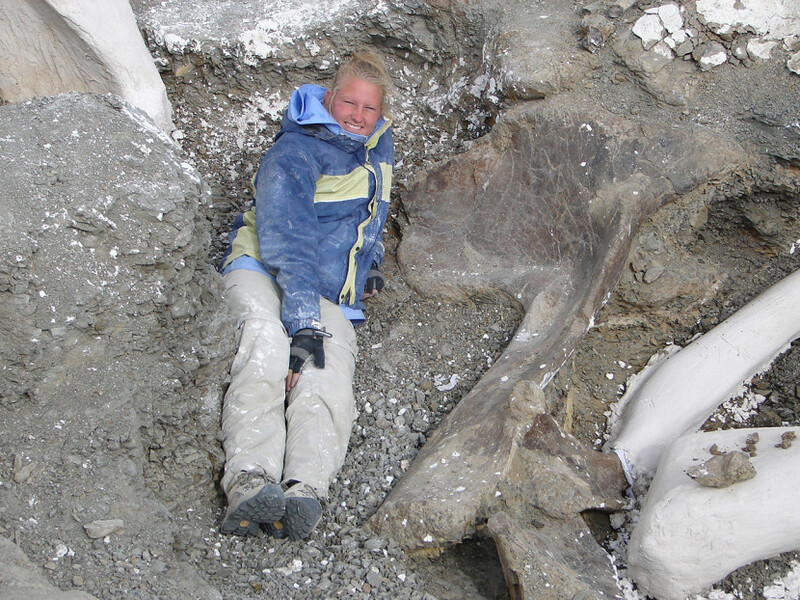 As a longtime volunteer, Carter spent many of her undergraduate years in the Academy’s public-facing lab while preparing this dinosaur under the supervision of Dreadnoughtus field team member Jason Poole. 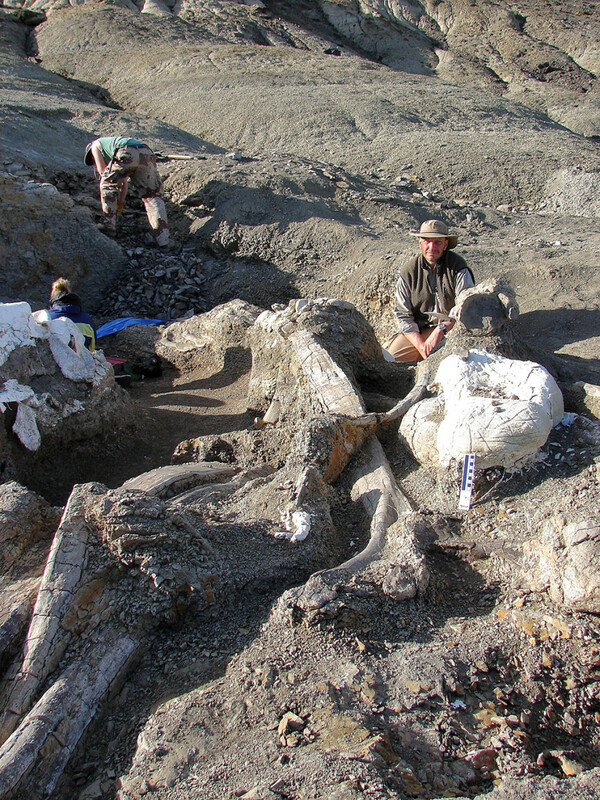 Dreadnoughtus wasn’t always a pile of bones, of course — what makes it so interesting, so worth the decade of hard labor for dozens of people, is all that those bones reveal about the living animal it once was and about the ancient history of life on Earth, previously unknown. Dreadnoughtus, for an animal so astonishingly huge, somehow managed to do all the ordinary and mundane tasks common to life, from eating and walking to breathing and reproducing. Yet doing so for an animal so large is hard to contemplate. Can you picture a two-story house eating, breathing and sometimes standing up to take a walk? You would want to get out of the way. 3-D digital scans of all of the Dreadnoughtus bones so that they and other scientists could continue to study the dinosaur without the need to travel or move the oversized and irreplaceable fossils. The imposing size of this animal is just part of the reason for its name, meaning “fears nothing” and inspired by early-20th-century battleships called dreadnoughts. (The dinosaur’s species name, “schrani,” was chosen in honor of American entrepreneur Adam Schran, who provided support for the research.) In life, this dinosaur also would have feared no threat in its environment because of its powerful muscles. In many of the exquisitely preserved fossil bones, deep grooves show the points of attachment for those muscles. 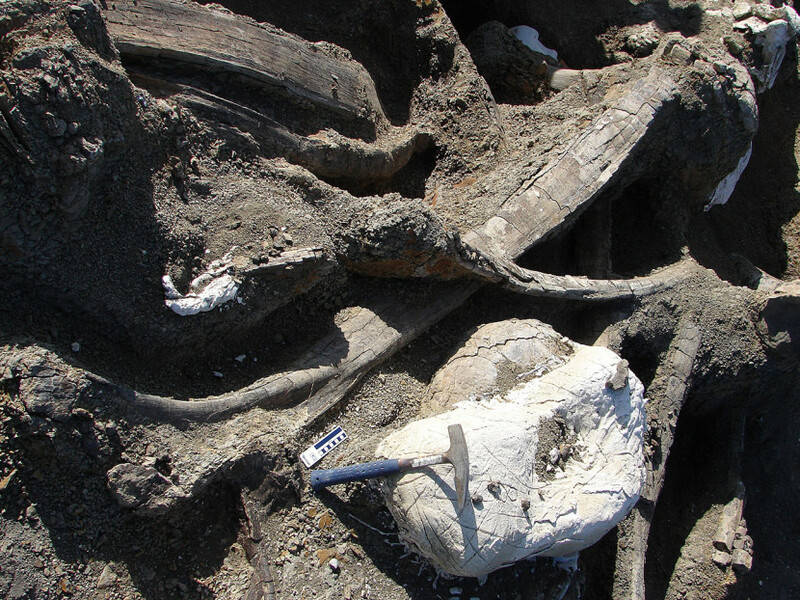 Along the 30-foot tail, each vertebra pairs with a set of bones called chevrons that have a spur of bone pointing downward where the tail-wagging muscles attached. In other long-necked, long-tailed sauropod dinosaurs, those attachment spurs taper down to a fine point, but in Dreadnoughtus they flare out into wide paddles for a strong muscle attachment point. This gave the creature what Lacovara calls a “weaponized tail.” It could swat any predator away easily without slowing down its steady vacuum-slurp of all the vegetation it could reach. Of all the ecological questions about how Dreadnoughtus lived in its environment, one thing is certain: Dreadnoughtus was an herbivore. Only plant-eaters can possibly grow to be the largest animals in an ecosystem because a large percentage of their energy is lost with each step up in the food chain — and for an animal as large as Dreadnoughtus, it would take a large percentage of all the energy an ecosystem could produce just to maintain its body size. Lacovara speculates that to maintain its body size, Dreadnoughtus would need to eat all of the vegetation within reach of its 37-foot neck, then take a few steps to one side and start the process all over. 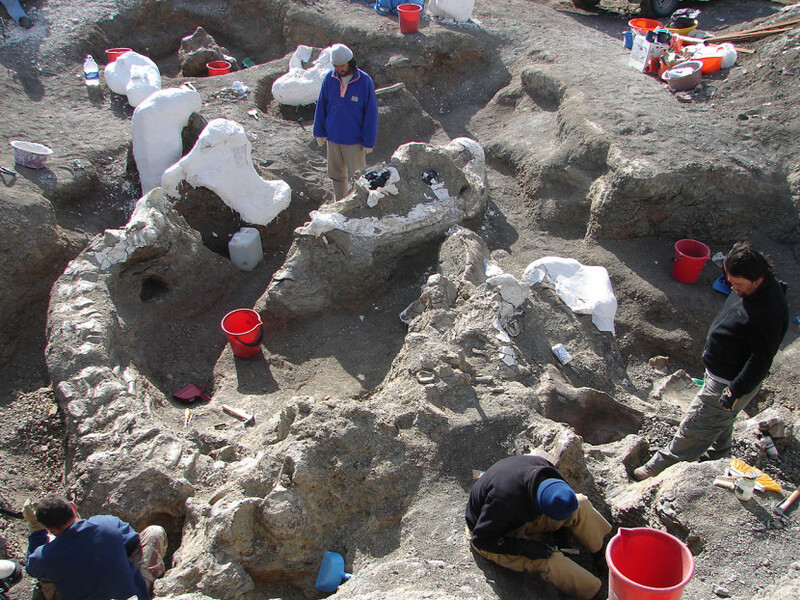 Many more questions about how Dreadnoughtus lived and moved may be answerable and testable thanks to the many types of bones that were recovered and the quality of their preservation. Lacovara and his current and former students are already at work on several additional scientific papers addressing biomechanical questions as well as more technical analyses of the shape of the bones. One area of ongoing research will employ new 3-D modeling techniques to study how giant dinosaurs managed to live and move. As part of the preservation process, Lacovara’s team produced a comprehensive set of 3-D digital scans of all of the Dreadnoughtus bones so that they and other scientists could continue to study the dinosaur without the need to travel or move the oversized and irreplaceable fossils. Lacovara published the 3-D scans as freely available PDF files on the website FigShare, where they became the most-downloaded scientific figure in the site’s history up that point. Lacovara and his students are collaborating with two engineering labs at Drexel to produce both digital and robotic 3-D models of Dreadnoughtus to test their hypotheses about the dinosaur’s biomechanics. Working with Professor Soren Siegler and Associate Professor James Tangorra, both engineers in Drexel’s College of Engineering Department of Mechanical Engineering and Mechanics, they are adding virtual muscles and other soft tissues in a virtual space and 3-D printing 1/10th scale models of the bones. 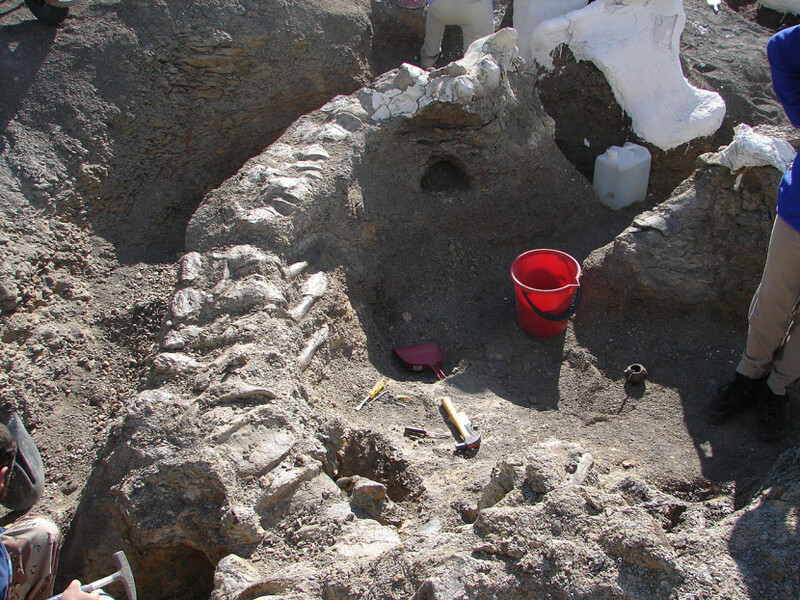 With the addition of attached model muscles and tendons, the researchers will have a small robotic model of Dreadnoughtus. An advantage of building a dinosaur robot is that there is no need to simulate the physical environment — characteristics such as gravity and air pressure — because the model can interact with the real world during an experiment. 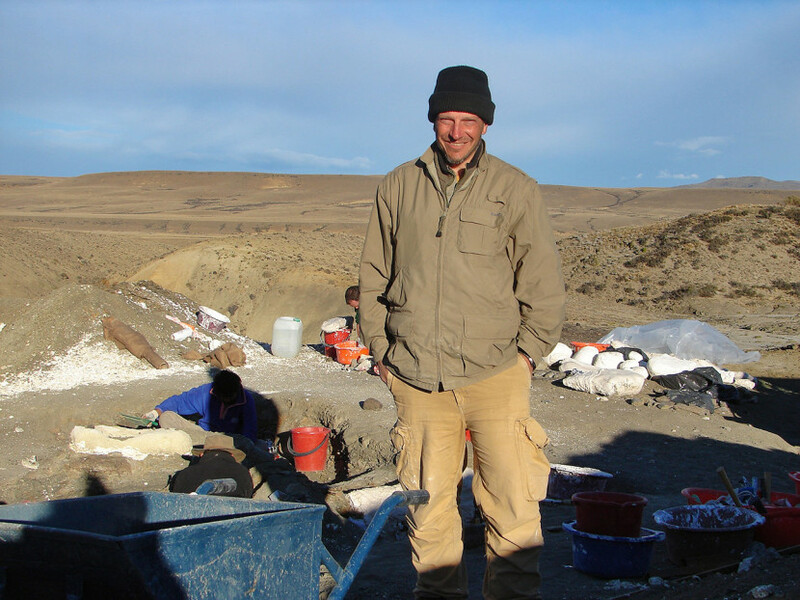 As for the students who worked alongside him, their experience with the fossil has helped them move ahead in the field and in graduate programs. 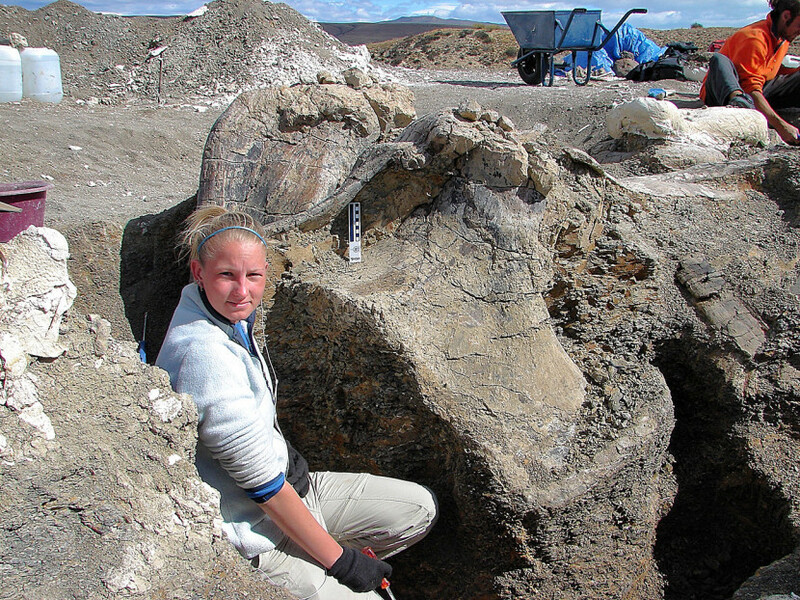 Moyer is now in the final year of a PhD program at North Carolina State University in molecular paleontology, a new subspecialty pioneered by her advisor, Mary Schweitzer, who famously extracted soft tissues and proteins from T. rex fossils. Schroeter is joining her there as a postdoctoral fellow. Ibiricu is a scientist with Argentina’s equivalent of the National Science Foundation. 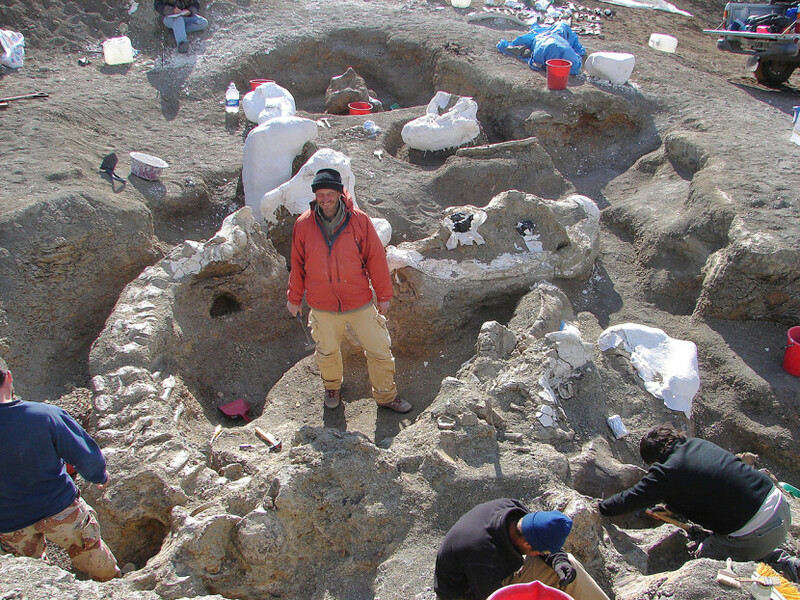 Carter is beginning a doctoral program in paleontology at the University of Pennsylvania. 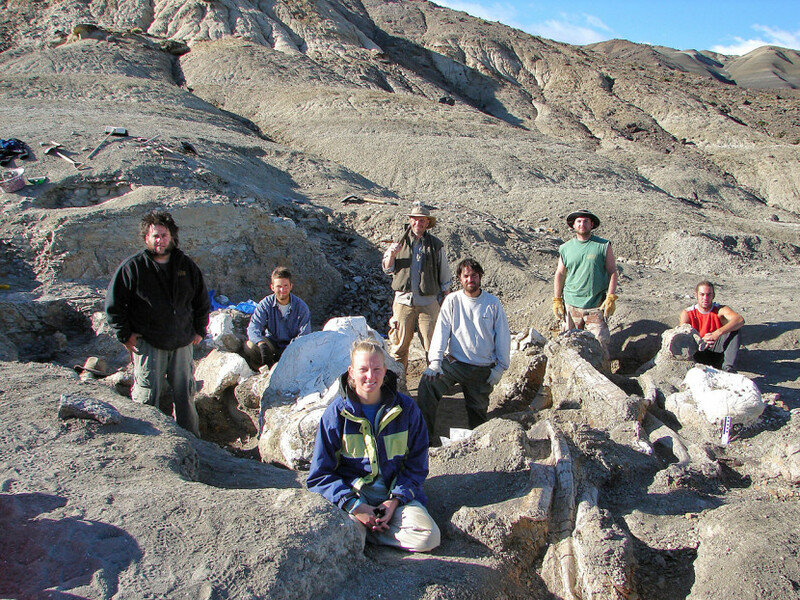 Dreadnoughtus itself, meanwhile, has returned home to Argentina — shipped back in a hefty load of crates that departed Drexel in December 2014. Jason Poole once told Carter that, as paleontologists, they have the glorious job of ushering ancient animals into their afterlife. For Dreadnoughtus, the afterlife has finally begun.